A contemporary interior design and full architecture fit out, for Cattle & Co smokehouse restaurant in Kings Cross London. 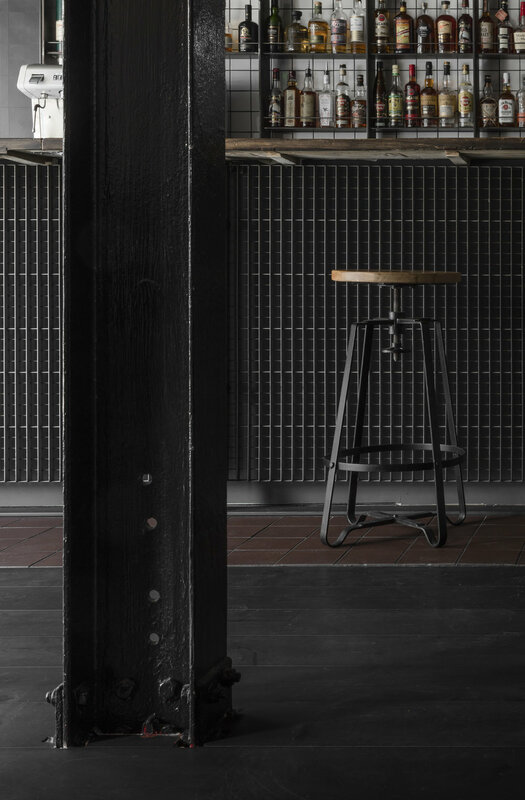 The space includes a bespoke bar design fabricated from steel, smoked oak timber tables and clay walls. Cattle & Co, Kings Cross is the first restaurant of a brand new Smoke House restaurant chain. Inspired by the unique smoking process used to flavour the food, we used a palette of dark charred materials to create a potent atmosphere. We designed a bespoke metal bar front, reminiscent of the cooking equipment found behind the scenes. At the heart of the main dining space is a 2m x 2m scale model of the Metropolitan Cattle Market that was once located behind Kings Cross. This re-enactment uses 5,000 model cows to convey the scale of the market that once existed near the site whilst creating a focal point for the space.